Black Paint products have to be one of the best that I have come across. Now I am very fussy with skin products so if I am raving about it, then you know it is good. Flawless Summer skin couldn’t get any easier than this. I have always suffered with acne so I am always on the look for new skin care products that will do the job of keeping my skin clear. The Japanese are known for their awesome skin products from their make-up products to the cleansers so I knew I wouldn’t be disappointed with Black Paint. Their ethos is all about keeping it ”natural”. They believe in keeping the skin microbiome in tip top condition which means no use of irritating products whatsoever. 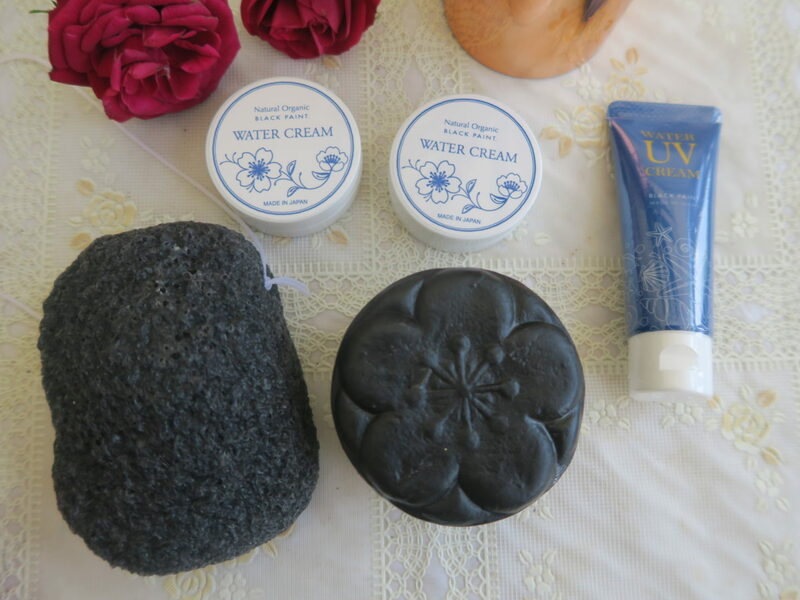 I came across the Black Paint make-up remover soap and fell in love with it instantly. I currently use the soap and facial sponge together as part of my morning and night beauty regimen. Let me take you through each product. Result: Cleansed skin, make-up removed and a moisturised look thanks to the 27 organic oil it contains. Warning- Do not use over eyes. I made this mistake and my eyes became irritated for a couple of minutes. I would just use a normal eye make-up remover for this step. I like to finish my night routine using a night oil and I use the midnight Khiel’s evening oil which you can see my review here. What are your go to skin products? I would love to hear about them.